During the six day Thanksgiving travel period, the number of long-distance trips increases by 54% and during the Christmas/New Year holiday, travel increases by 23%. While thousands of Americans travel across the country to visit family and friends, no one wants to get bogged down with sickness. Jayne McAllister, of Jayne McAllister Travel Wellness, recommends ten tips to stay healthy while traveling this holiday season. Eat Healthy on the Road. Research airport eateries before you fly to find healthiest options. Request a fridge in your hotel room so you can shop for healthy meals and keep fresh fruit and salads to hand for when you don’t have to dine out. For long haul flights, order a vegetarian meal. The extra vegetables are much easier on your body inflight than eating lots of sugar, saturated fats and animal proteins. Plan to eat a salad before you fly to offset the effects of inflight bloating. Breathe. Breathing exercises calm the “fight or flight” response of the sympathetic nervous system. It’s the simplest tactic to reduce stress, it’s easy to do and it’s free. Inhale for five counts and exhale for five counts. Work up to inhaling for two counts and exhaling for eight. Jet Lag. Forget the drugs, forget the gimmicks, jet lag can be handled completely holistically. Here’s how: grounding (standing barefoot on grass or sand for 10 minutes at a time); electrolyte balance, antioxidants, exercise, and alkalizing foods. Keep Your Usual Sleep Pattern. Red eye flights can seem like a good idea but at the end of the day, you’re depriving yourself of a decent night’s sleep, which will throw off your performance for days. Lack of sleep doesn’t just lead to lack of energy, it leads to bad decisions around food, such as reaching for caffeine and sugar for pick-me-ups, or being too tired to think about making the right choices at breakfast time. Take a soak in a tub before you turn in. Apply a little soothing lavender balm. This is very good for people who are anxious naturally, especially when flying. Use natural sources of melatonin, like pineapple, bananas, oranges, oats, sweet corn, rice, tomatoes, and barley. Keep Exercising. People love to use the fact that they’re traveling as an excuse to not exercise. Obvious remedies: Find a hotel that has a workout room or a pool. Use the stairwell. If you have a gym membership, see if they have a location where you’re traveling to. Get outside and walk as much as you can. Hydrate. Ideally, consume at least one 8-ounce glass for every hour in flight. Caffeine, whether it is in coffee or soft drinks, will dehydrate you. Avoid the inflight salty nuts and snacks, which mess with cellular water content. Similarly, watch out for salt in drinks like tomato juice and V8. Avoid Alcohol. Alcohol and flying do not mix well because of alcohol’s dehydrating effects. It’s better to have a drink with your pre-flight meal while you’re able to drink lots of water with your meal. This will lessen the effects of dehydration, help you digest your food and relax you before your flight if you’re a nervous flyer. Just don’t overdo it. Commit before you travel. Book a personal trainer, or exercise class before you get to your destination. Personal trainers and Pilates studios usually have a 24-hour cancellation policy so it’s a real incentive to keep your appointment. No Excuses. Some people will use the excuse of not having space in their luggage for their sneakers. While some might wear them for the trip, others wouldn’t be seen dead in sneakers while traveling, plus they’re a pain to have to take off at security. Light, foldable sneakers are now available that squeeze into any size bag. If the hotel doesn’t have a work-out facility or you don’t feel safe walking or running in the neighborhood, there are plenty of downloadable workouts to do in-room. McAllister provides corporate wellness assistance to those companies with business travelers who spend 30 percent of their time, or more, on the road. She specializes in such training issues as weight loss for travelers, healthy eating while traveling, ergonomics for the traveler, functional exercise, jet lag recovery and avoidance, sleep quality, and nutritional cleanses. She has also created Dine Out Lose Weight, a 21-day guide for dropping weight without setting foot in the kitchen. 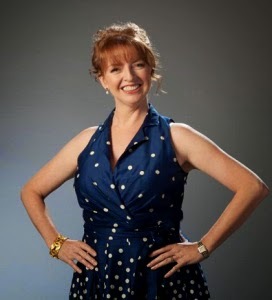 For more information on her services, visit the site at: www.jaynemcallister.com. Based in Vero Beach, Fla., Jayne McAllister Travel Wellness is a company that provides corporate wellness training to business who have employees that spend a lot of their time on the road. Jayne is a certified coach, who has a degree from the University of Cambridge, is a Pilates instructor, and is a certified holistic health practitioner. For more information visit the site at:www.jaynemcallister.com. How unsanitary is your toothbrush?